On Ariel Helwani's MMA Show on ESPN Monday, Conor McGregor predicted a "devastating" knockout of UFC lightweight champion Khabib Nurmagomedov when they fight this Saturday at UFC 229. 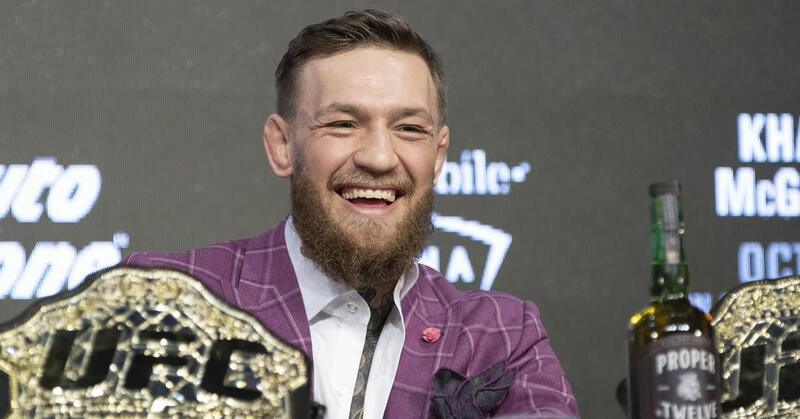 McGregor hasn't done a lot of media prior to his UFC return, but spoke to Helwani for nearly half an hour about his road back to the Octagon and what could come next, win or lose. Helwani asked whether the payday he's getting for his return is anywhere near what he earned for fighting Floyd Mayweather. He was non-commital, but was very happy with how he's going to do for the fight. Speaking of Mayweather, McGregor re-iterated that he wants to rematch Mayeather in boxing, not MMA. Helwani asked about the potential for a Georges St-Pierre fight, but McGregor didn't seem interested at this time, saying that GSP didn't have anything against him personally. McGregor followed that up with showing interest for a fight with former middleweight champion Anderson Silva. The most telling line: "I'm going to do fights that interest me or have meaning." McGregor said that a trilogy fight with Nate Diaz will no doubt happen and that he will "always give that man his rematch", citing that Diaz gave him a rematch.